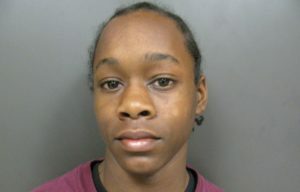 Breaux Bridge- A Breaux Bridge teen is in custody following a shooting on April 14th that left a female teen injured. Police say, the shooting happened in the parking lot of the Breaux Bridge Apartments on Margaret Street. Through out the course of the investigation detectives determined 18-year old, Peter Castille as the suspect. Castille was arrested and booked with five counts of attempted second-degree murder and is in the St. Maritn Parish Correctional Center with bond set at $750,000.